Shortly after New Year's Day, a new trend called the #10YearChallenge began to flood social media networks. The trend as the name suggests, encourages people to go online and post a side-by-side photo of themselves 10 years and the current day (2009 and 2019). The new challenge immediately went viral on social platforms like Facebook, Instagram, etc, because the main aim of it is to share those photos and marvel at how much or little we have changed over the years. Many celebrities, top figures and icons also participated in it, and so engrossed were social media users that many made it a challenge for all their friends to do the same. While many participating in the #10YearChallenge enjoyed the fun, not everybody had a happy ending. 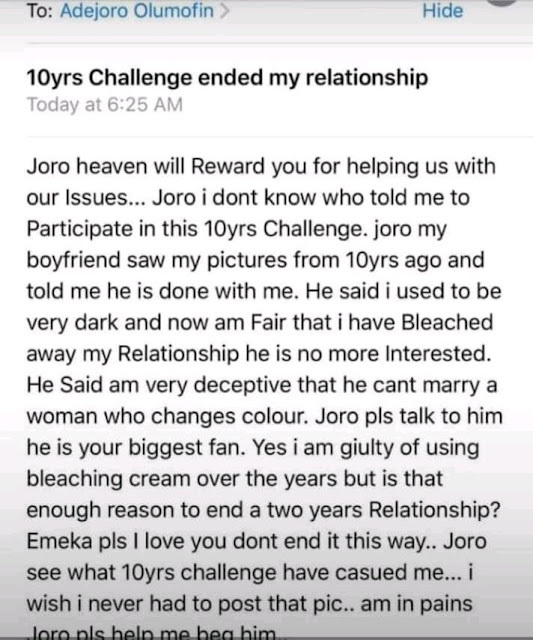 A young Nigeria lady has gone onto social media to share her bitter experience of the #10YearChallenge which resulted in her boyfriend ditching her when he found out that she bleached her skin. 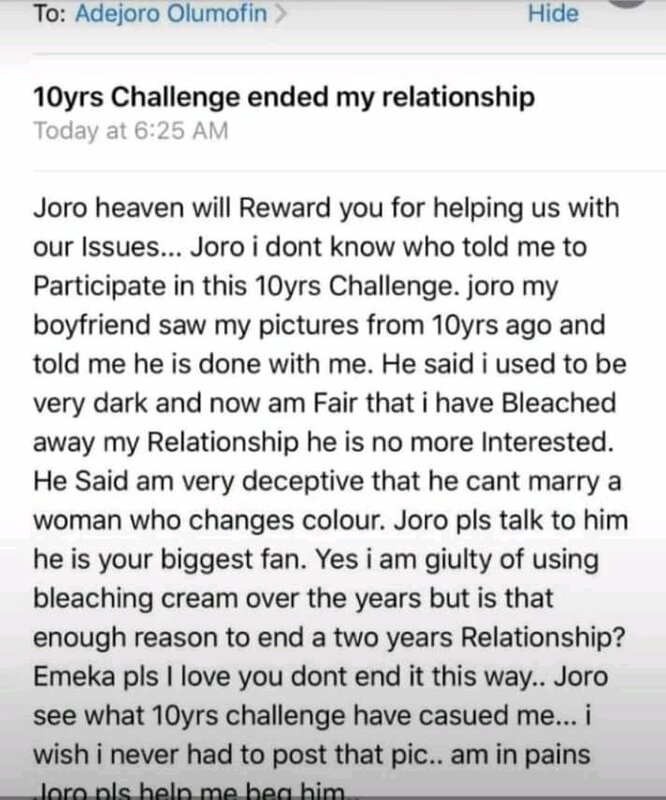 According to the unidentified lady who shared her predicament with relationship expert, Adejoro Olumofin, she said that her boyfriend broke up with her when he saw photos of her #10YearChallenge. From the #10YearChallenge photos, the lady used to be dark in complexion, but at some point bleached her skin for whatever reason she had in mind. 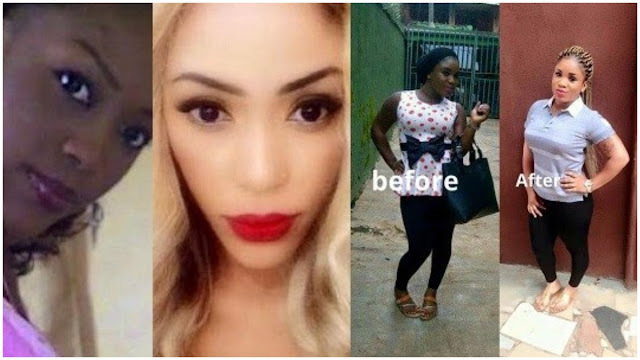 When the boyfriend found out, he accused her of being deceptive and wouldn't be with someone who changes colour. Amid all thats happening, there's a strong debate that the challenge threatens people's privacy, and might even be a ploy to harvest people's data and use it in the training of of facial recognition algorithm on age-related characteristics and age progression.